The Holiday Inn London-Kensington hotel is located in the heart of London, in the Royal Borough of Kensington and Chelsea.This hotel has its own private landscaped garden providing a quiet, tranquil and relaxing atmosphere in the heart of London.Gloucester Road underground station is 2min. walk from the hotel which makes it an ideal location for business travellers, since it offers easy access to the financial district and Earls Court and Olympia Exhibition centres. For the leisure traveller Holiday Inn offers easy accessibility to all the major London attractions including High Street Kensington, Natural History Museum, London Eye, Albert Hall and Harrods. 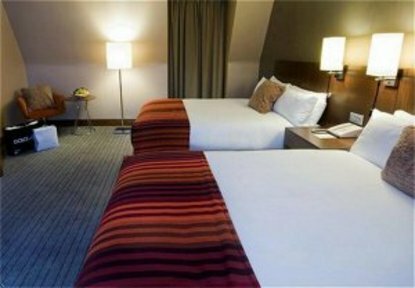 This London hotel also offers a direct link to Heathrow airport via the Piccadilly line and the M4 and A4 are easily accessible. This Kensington hotel is fully air conditioned and all bedrooms are equipped with high speed internet access.